David Reilly is a Photographer/Social Media content creator based in the mountains of the American West. An opportunity to attend school for Ski & Snowboard business prompted Dave's move to Steamboat Springs, Colorado in 2006. Early on Dave realized his passion for building Terrain Parks and launched the start of his career in mountain operations with Steamboat Ski Resort. He worked his way through the ranks, starting as a hand-shaper, cat operator and trail builder, before landing the role as Terrain Park Manager in 2010. He was also a contributing photographer in his time at the resort for seasonal ad campaigns and daily social media work. In February 2018, Dave traveled to South Korea for the Pyeongchang Winter Olympics working with White Industries as a course shaper/photographer. 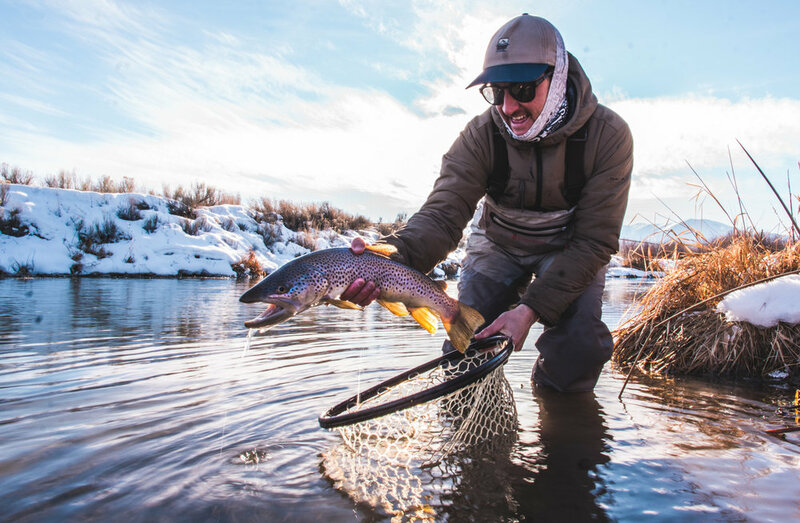 In his free time he is an avid Outdoorsman, Fly fisher, Snowboarder as well as an ambassador for Redington Fly Fishing and Hog Island Boats. More often then not you can find Dave on the nearest mountain, camera in tow, ready to capture the action and beauty in front of him. If you don't find him on the hill, he's probably on the river, shooting some of the American Wests finest trout. If you are in need of Project Management, Social Media Content Creation and some killer photography Dave is your man!